Every time I go into a Christopher Guest movie I expect to hate it, but that’s never happened so I’m not quite sure why I feel that way. I think I always feel like I’ll immediately fall asleep or something. 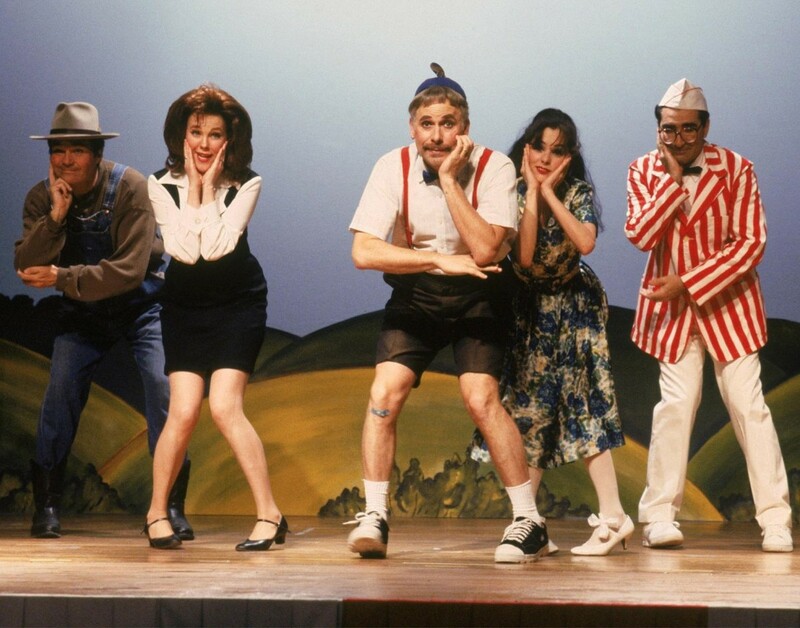 Waiting for Guffman was not boring in any way and it was extremely funny. The plot was very predictable but that doesn’t really matter because the story isn’t what I find so interesting about his movies, it’s all the characters and their obvious ad-libbing. I think the actor I look forward to the most in his movies is Fred Willard. He’s fantastic and I also think he’s great in Roseanne and that he’s a small reoccurring character in King of the Hill. Waiting for Guffman is just a classic to me. I love all of Christopher Guest’s movies and Waiting for Guffman has everything that always makes them so great: sweet, weird, and insanely funny. I think one thing I like most about Guest’s movies is that they very rarely make me cringe, even though the characters are sort of awkward or get into cringe-worthy situations. I think part of that comes from the fact there are never any real bad guys. Even a character that you could say is an antagonist is never a real obvious one, because they’re not cartoonish. The way Guest balances reality and absurdity is really special. I think Waiting for Guffman really has too many memorable scenes to really call attention to anything specific. The whole movie is really just kind of a masterpiece in terms of actors naturally interacting with and playing off each other. Plus, Corky’s My Dinner with Andre Action Figures sound amazing.